mwe3: When did you write the music for the Guitare Mystique album and how did you arrive at the title of the album? Is the new album a continuation of Encantado or did you travel on some new sonic destinations on Guitare Mystique? Jim Stubblefield: I wrote the music for Guitare Mystique in the Spring and Fall of 2016. The gap between Encantado and this album is only two years in terms of release date which is unusual for me. For instance, Rhythm Of The Heart came out in 1998 and I did not produce another solo album until Guitarra Exotica, which was released in 2007! Guitare Mystique is certainly part of an evolution that began to emerge on Encantado, but there were hints of it on Guitarra Exotica way back in 2007. Some of the more 'orchestrated' pieces on Encantado like Terra e Sole, which features a lot of orchestral strings, paved the way for pieces like Voyager Aeternam and Moonlight Requiem. Guitare Mystique is French for 'Mystical Guitar'. I think the title speaks to more of the atmospheric compositions on the project. mwe3: Why did you decide to have other guitar players on the Guitare Mystique CD and what do they bring to the mix? I was surprised that Mark Barnwell isnt on Guitare Mystique as you guys seem to be so much on the same wavelength. Do you prefer recording as the sole guitarist or do you like other guitarists adding to the mix as you do in the Incendio albums? Compare the differences. Jim Stubblefield: I really enjoy working with other musicians and I think that is one of the great things for me about doing my "solo" projects. I've been part of the band Incendio since we officially formed in 1999 and the core group of myself, JP Durand and Liza Carbé has been a constant. The collaboration of the three of us, along with other musicians who have drifted in and out of the ranks over the years, has created what I think is a unique take on the Latin or "world-fusion" guitar genre. The dialogue between JP and me is very different in terms of style even though we predominantly play nylon-string guitars in Incendio. It's that dialogue that is also very important to what the band's sound is. On my earlier solo projects, like Guitarra Exotica and Inspiración, I'm the only guitarist. For Encantado and Guitare Mystique I did have a number of guest guitarists. It's not really a matter of preferring to work with other guitarists, it's a matter of whether or not I feel a song could benefit from a collaboration. The three guest guitarists on Guitare Mystique are good friends of mine as well as great artists in their own right. I like the idea of working with different musicians as I continue to release solo projects. I'm sure people will hear more music that features Mark Barnwell and I in the future. mwe3: On your 2015 album Encantado, you said you tried to move away from the Latin sound and so on Guitare Mystique did the sound further evolve? Some of the Guitare Mystique tracks have a bit of a rock energy to it, like Moonlight Requiem has a bit of an ELO sound. Is that what the use of strings adds to your sound? Jim Stubblefield: I think I'm slowly moving back to my musical roots in terms of what I grew up listening to. As a teenager I really gravitated towards rock and fusion bands that tended to push the envelope in terms of song structure, production and musicianship. On the instrumental side, I loved Al Di Meola's early solo albums like Land Of The Midnight Sun and Elegant Gypsy. His song titles, Flight Over Rio, Race With The Devil, On The Spanish Highway and his use of percussion and synthesizers could evoke very cool images and that stuck with me. I also loved British progressive rock bands like Genesis, YES and Pink Floyd. Guitare Mystique really has elements of progressive rock and classical music while, on some pieces, I still give nods to the Latin or exotic guitar style music most people are used to hearing from me. mwe3: Tell us about track three Azure as it has some unusual sounds on it. Its a brilliant track. Are you playing keyboards more on that track? Are there also guitars on that track? Does every Guitare Mystique track have guitars on it? Jim Stubblefield: I play all the keyboards and synthesizers on the album, but the parts are not all that demanding. Azure is a piece where Novi Novogs viola takes center stage. There are a ton of guitars on Azure, but they are in a supportive role. There are multiple tracks of me playing clean electric guitars using suspended chords and arpeggios throughout the song. The clean guitar voicings are definitely inspired by Andy Summers of The Police and Alex Lifeson of Rush. The song itself is a result of what I would call an English prog-rock influence that I've been revisiting. In recent years, I have spent a lot of time listening to Pink Floyd as well as artists like Steven Wilson of Porcupine Tree and Steve Hackett. Azure, to me, has a bit of a melancholy atmosphere to it. I also made a decision that just because I'm a guitarist, it does not mean that every piece of music needs to have the guitar as the main voice. To me, the composition takes priority. The long, legato and mournful melody of Azure sounds more appropriate on a bowed instrument than on a guitar. I think a big part of my evolution as a producer, and an important part of my solo projects, is that the composer side of me is more important than than the guitarist side of me. That being said, every song on Guitare Mystique has a fair amount of guitar on it although some guitars might not sound like guitars. I used an E-bow on some of my electric guitar parts on the project. mwe3: Youve once again picked some great artwork for the Guitare Mystique album. Tell us about the artwork and how it enhances the album overall? On the cover art, it looks like Merlin is about to cast his spell! 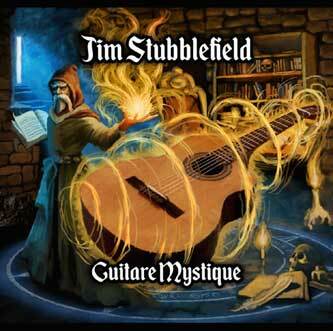 Jim Stubblefield: The artwork for Encantado and Guitare Mystique were done by my friend Ben Woods. For both albums, I told Ben what I wanted and he took it to a whole new level. 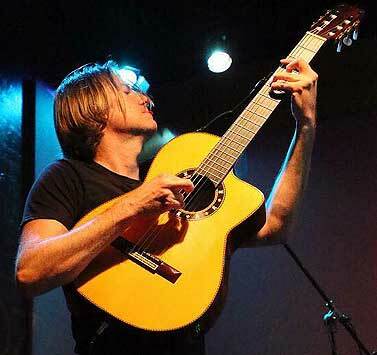 Incidentally, Ben Woods is a phenomenal guitarist and has released a ton of albums of his own. In fact, he finished the artwork of Guitare Mystique only a week before he left for a European tour as part of Steve Stevens' band. If you look closely to the cover art you can see that the wizard's book has music in it. I'm a big fan of fantasy literature and so it was time I incorporated that love into some album artwork. I also really like evocative covers such as Kansas' Point Of Know Return and Leftoverture. mwe3: Before The Storm is another low key track that features keyboards and some well placed female vocals. Did you set out to create a kind of mysterious sounding quiet storm track on Before The Storm? Jim Stubblefield: I didn't over-think it. I just had a cool electric piano sound and a percussion groove that seemed to create a nice atmospheric tune. Originally the whole album was going to be a 'chill-out lounge' thing, but as I continued to work on the music other moods arose. The album does tend to have a flow, which is deliberate. It begins fairly mellow and atmospheric and gets more 'progressive' as it runs its course. mwe3: How about your guitars of choice on Guitare Mystique? 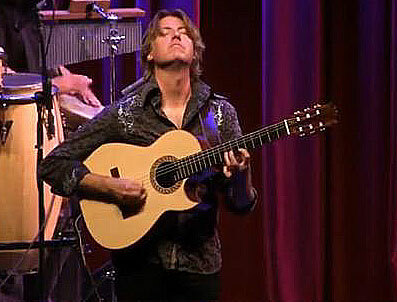 Last time on Encantado you used a 2003 Pedro Maldonado Flamenco Negra cutaway. How about on the new CD and what about the electrics and any steel string guitars this time around? Are you still using the Mesa Boogie amps? Any other guitar news or tech news of interest for you? What are some of your other favorite Flamenco and Classical string guitars and what strings do you prefer on both your Flamenco, classical and electric guitars? Jim Stubblefield: I used my 2003 Pedro Maldonado Flamenco Negra cutaway almost exclusively on Encantado, with the exception of the electric guitar parts. Incidentally, I sold that guitar to Mark Barnwell in 2016. For Guitare Mystique I used German Vazquez Rubio, Jorge de Zofia and Maldonado flamenco guitars. The electric guitars I used included a Fender Stratocaster, a Fender Telecaster, and a 7-string Musicman John Petrucci Majesty. For amplification I used a Mesa Boogie Mark V amplifier and the Positive Grid Bias amp modeling software. I'm using Luthier, Savarez and Galli strings on my nylon-string guitars. I'm always switching gauges and strings, but for my electric guitars I've been using Ernie Ball strings. I use Jim Dunlop Jazz III, Gravity and Blue Chip picks depending on the sound I want. mwe3: On Café Café you join forces with guitarist Eric Hansen, who lives in South Florida. How did you meet Eric and what other projects have you worked on with Eric over time? What did you think of his latest solo album Glistening? Thanks to you, I was made aware of him. Also tell us about Eric transcribing your music. Do you plan on having a songbook with your written music? Jim Stubblefield: Eric and I first came to know each other back in 1998. Our music was featured on a compilation album called Pure Flamenco Nuevo Flamenco Passion. Eric had two songs on the album as did I. Other artists on the compilation included Ottmar Liebert and Govi. In 2015 Eric was a guest artist on Encantado and in 2016 I was a guest artist on the song Silverlight from his latest album - Glistening. I have a bunch of pieces transcribed by Eric, at least a dozen. Many are available for sale via my website. I first became aware of Eric's transcription skills through the work he did for Strunz & Farah. mwe3: Voyager Aeternam has a strange title. What does it mean? Its very New Age in that its quite tempered and steady. Is that another track featuring your keyboard work? Theres some nice electric guitar work on that track which offers a cool contrast to the string sounds. Jim Stubblefield: Voyager Aeternam means Eternal Voyager and is my favorite piece on the album. It's definitely an atmospheric piece that features keyboards, synthesizers and Novi Novog playing multiple tracks of violin and viola. I play the keyboards and there are lots of guitars on this piece. Clean electrics washed in delay, E-bow and a nylon-string guitar solo. mwe3: Track seven Moonlight Requiem follows Voyager Aeternam with a similar type of sonic vibe. I was thinking there was a kind of instro ELO vibe on that track when the overdubbed strings come in. Did you set out to write a kind of 'requiem' type song in a minor key? Would you consider Moonlight Requiem to be a kind of modern day classical music or is it still Guitar-centric World Beat? Jim Stubblefield: Style-wise, I have no idea what it is, but I can speak to its influences. I would say the song is part Hans Zimmer, part Tangerine Dream and part classical guitar. I tend to write mostly in minor keys so the title has less to do about the key and more to do about atmosphere. The thing I like about instrumental music is that it allows the listener to create their own images in their mind's eye. The song titles are more guide posts than anything else. mwe3: Track 8 Oculus Tempestatis has a kind of World Beat sound, almost Arabic sounding. Theres some great soloing on that track. Are you playing all the guitar parts and what guitars are you playing on that track? Was the guitar solo improvised and who is doing the female vocal parts? Jim Stubblefield: Oculus features my friend Stephen Duros playing lower octaves, harmonies and trading guitar solos with me. He plays the 2nd and 4th guitar solos. 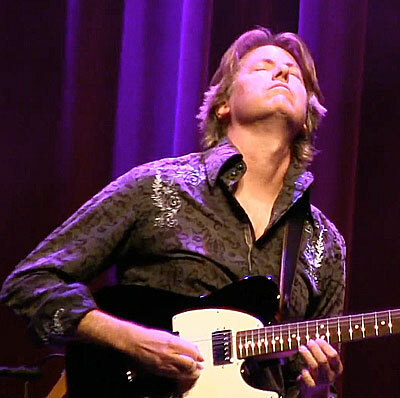 Stephen has several wonderful albums out and he toured as a second guitarist/keyboardist with Ottmar Liebert for 4 years. The electric guitars on the song are played by me. Moksha Sommer of the band HuDost sings in her 'non-lyric vocal' trademark way. She also was a guest on my previous album Encantado. mwe3: Track nine Rumba Furiosa, Opus 2 gets back to a more traditional Rumba Flamenco guitar sound. Did that track signal a return to the Latin flavored sound of Incendio? Is that Dan Sistos playing those mean electric guitar parts? It sounds like theres at least two electrics playing away on that. Does Dan play all the electric parts on Rumba Furiosa, Opus 2? What can you tell us about Dan Sistos, when did you meet him and what do you like best about his music? Jim Stubblefield: The song is a 'traditional' rumba with a big twist that I don't think has ever been done before. The idea was combining a syncopated rumba Latin guitar piece with Yngwie Malmsteen / Neoclassical electric guitar influences. The harpsichord 16th notes doubling the electric guitars and Gothic style vocal chants I believe are a first in the context of what would be a typical rumba. Dan and I both perform on acoustic and electric guitar on the piece. During the bridge we both play electric as we follow the harpsichord part and harmonize each other. After the nylon-string guitar solos, all of the electric guitars until the end of the song are performed by Dan. I've known Dan Sistos for several years and we've become great friends. 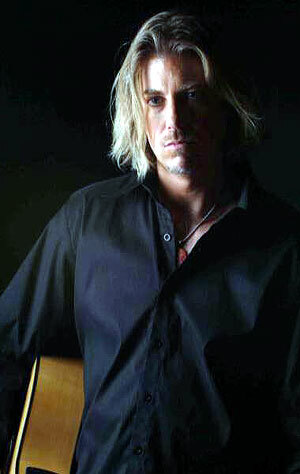 Dan is an amazing guitarist who has played with Christina Aguilera and many other pop stars. 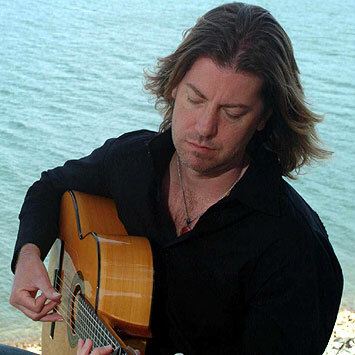 He is the guitarist on the Assassin's Creed video game soundtracks as well. I also blame him for getting me into expensive Scottish whiskey. mwe3: Guitare Mystique closes out with Sueño Pacifico. Its almost a lighthearted way to close out the album. Did you choose to close the CD out with a positive, fleet-fingered track? With the cool electric solo it almost has a kind of Santana like effect. Jim Stubblefield: The last song is definitely a lighthearted sendoff. The album tends to be fairly dark and brooding. I thought it would be fun to end the album on a less moody note. mwe3: Many of the great guitarists these days are on the West Coast. Does it seem like a bigger challenge than ever to bring your music all over the US these days? Are you happy with the way your music has been accepted worldwide and what else are you planning this year and into the near future? Jim Stubblefield: Honestly, most of my newer fans seem to be outside the United States. I have quite a few followers in South America and even Eastern Europe although with Pandora, Spotify and Apple Music featuring my music, things seem to be balancing out now. Of course, there are fans of Incendio, who also enjoy my solo projects and a large percentage of those folks are based in the USA. For my solo project, I'm planning to do some very selective live performances to support Guitare Mystique, but it's too early to say when or where. My other plans are to continue to evolve as an artist - both as a solo act and in various collaborative environments. In closing, I also want to give credit to the other musicians on the album for really bringing this project to life - Randy Tico (bass), Bryan Brock (percussion), Ramon Yslas (percussion), Novi Novog (viola and violin), and Moksha Sommer (vocals). Lastly I want to thank Bo Astrup for co-producing and doing a wonderful job mixing this album!